If you are a blogger or an SEO specialist then you’ve surely an idea about Alexa ranking. Alexa page ranking is a metric which helps us know the quantity of traffic a particular website is getting. Having a good Alexa rank is surely a plus point for your site’s success. If your website is having a good Alexa ranking then you can easily attract more advertisers towards your blog. Selling ads spaces and reaching out sponsored post will be so much easier than before if your Alexa rank is good. Not all, but sites with good Alexa rank also get more search engine attention. Alexa Internet has assigned Alexa Page Rank as a site metric to measure the site’s popularity. In general, people think that blog popularity is the number one factor for improving your website ranking, but in actual it all varies on your data usage which is collected by Alexa toolbar. If you’ve ever seen your Alexa ranking then you know that the greater the ranking, smaller the rank will be assigned to your site. Google’s Alexa ranking is 1 which is followed by Yahoo then facebook and youtube. There are plenty of useful resources available online which guides you to improve your Alexa ranking, but most of them are just words. 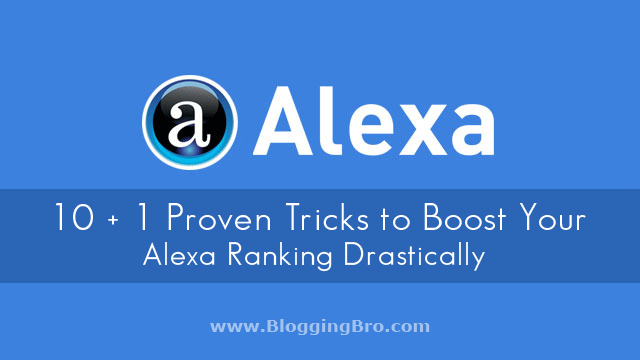 Here are top latest proven tricks which will surely help to boost your Alexa ranking without putting many efforts. Installing Alexa toolbar should be your first move in order to improve your site ranking. You might already know that Alexa rank is somewhere affected by all the data collected by Alexa toolbar. Every click from your website’s visitors is counted by Alexa toolbar. If you are installing Alexa toolbar in your internet browser then you’ll contribute a little every time you visit your site. Yes, you should try to install Alexa toolbar on all the computers you’re in touch with. You can set your website as a default page for your internet browser. From this move, you’ll make sure to increase the chances for improving your website ranking. You might have seen many pro-bloggers who have installed Alexa widgets on their website and wonders why? Every time someone clicks on your site, it will likely to be counted as traffic by Alexa. So, your next step is to arrange and set up the Alexa widget on your blog. Publishing blog posts on Alexa on your website will surely be a great move for improving your website ranking. Many SEO specialist and webmasters are likely to see these false claims on Alexa. If you’ve written good content on Alexa then chances are there that it might be republished or shared which will eventually drive more traffic to your website. As a result, improvement in your website rank. Next, you have to search for online forums where you think webmasters visit frequently. Posting your blog links on these website forums is actually a nice move for improving Alexa ranking. In general, webmasters use to have the Alexa toolbar installed on their devices. 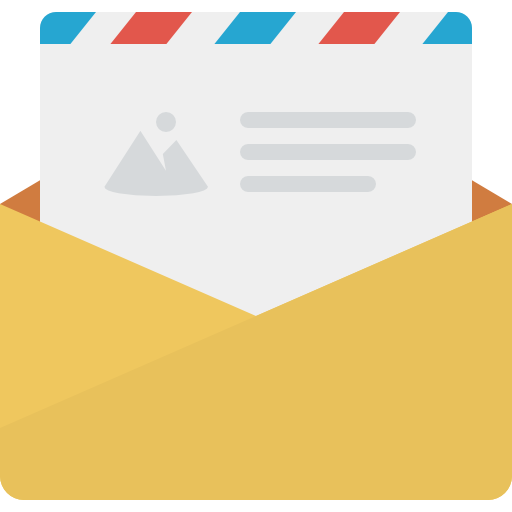 Visiting these types of online forums which allows you to promote your site is actually a clever move to make a successful site. Marketing promotions campaigns to experience a good ranking should be your next move. Let others prefer your site on Alexa website. This point also has a little importance in order to achieve a good rank. Creating valuable posts and niches which can attract a large group of webmasters can benefit you a lot. Focusing on niches like SEO, marketing, Tips and tricks, blogging, tools etc help you driving more webmasters to your blog. Another clever move is to use Alexa redirection technique. http://redirect.alexa.com/redirect?www.bloggingbro.com. You simply have to replace www.bloggingbro.com with your site name. Using this URL in blog comments and online forums can help you a lot. This basically monitors unique IP addresses once a day. You should try searching for online foreign forums which are relevant to your blog’s niche. Users on these kinds of forums often install Alexa toolbar. Digitalpoint forum is one of the well-known forums which attracts lots of foreign visitors all across the globe. Try to stay active on these kinds of forums. Helping out other bloggers with your advice can end up getting loyal visitors for your site. Using your blog’s URL as a signature helps you in creating a valuable backlink as well as increase your site’s popularity. Mentioning your best article as a signature is a good move for getting quality traffic. If you are able to invest in your blog then you should try advertising your blog. Buying good pay-per-click ads to your blog can help you get some quality visitors to your blog. Linking to more Alexa relevant content as a part of your popular blog posts and using Alexa redirection for creating backlinks to other blog is another great strategy to boost up your site ranking. So, That’s all with some best popular tricks to increase your website ranking. If you have any other suggestions or doubts then leave your valuable comments below in the comment section. At last, do share this post with your online network and help them boost their website’s Alexa rank.